Latest videos from some amazing weddings we have had the privilege of attending and shooting in some magical venues across New Zealand. See you little sneak peek highlights videos from weddings in Tauranga, Auckland, Hamilton, Taupo, Rotorua, Coromandel, Wanaka and Queenstown. We had a fantastic season, one of our busiest in 12 years in the photo and video industry. What a privilege it was to share in some beautiful memories and capture these for our lovely clients. So many of our we have made friends with after and treasure the responsibility of the most important occasion caught on video. See below for some delicious samples of creative wedding videos. We hope the stories captured below assist you in choosing us and give you some inspiration for what you can achieve on your wedding day. Not all videos shown have vows, this is optional and the video samples alway represent what the client receives. This is just some samples for your enjoyment. No matter where you decide to get married it’s likely we have been there and can offer photo location advice. Feel free to reach out and see how we can help. Lovely little wedding highlights from our latest wedding at Eagle Ridge, Tauranga, New Zealand. Wedding video Eagle Ridge Tauranga. Wedding highlights including drone, a haka and delightful vows. Lovely little eloping wedding for our lovely kiwi couple who married on a snow clad mountain in Queenstown. New Zealand heli-wedding, eloping weddings, Queenstown. Wedding videographer Tauranga New Zealand at Eagle Ridge in the Bay of Plenty. Nuance Photography and Videography present a wedding highlights show reel. Little wedding video highlights show reel at Old Forest School in Tauranga New Zealand. Little wedding highlights from our latest Ohope wedding in the lovely Bay of Plenty, New Zealand hosted at the Ohope Golf Course. Nuance Photography, drone and videography. Little highlights eloping wedding video in Queenstown, New Zealand by Nuance Photography, Drone and Videography. Little sneak peek video highlights from Fountain Gardens, Tauranga, New Zealand. Nuance Photography and Videography. Lovely little wedding video highlights from Danielle and Connors wedding in Leigh on a rainy day. Such and awesome couple making the best of the day! Lovely little wedding highlights at Ataahua in Tauranga New Zealand. Little video reel highlights in Rotorua New Zealand at the VR Resort for a lovely wedding including drone of Lake Rotoiti. Just a few highlights from Oke and Dean’s wedding video at Mills Reef Winery in Tauranga, New Zealand. Little highlights video for our amazing Besh and Thom who married on the shores of Lake Taupo. Waiheke eloping wedding video on Waiheke Island, Auckland, New Zealand. Little sneak peek wedding highlights video in Auckland, New Zealand. Nuance Photography and Videography in New Zealand wedding show reel. Wedding video highlights from McGrath Estate in Auckland. Auckland wedding videographers. 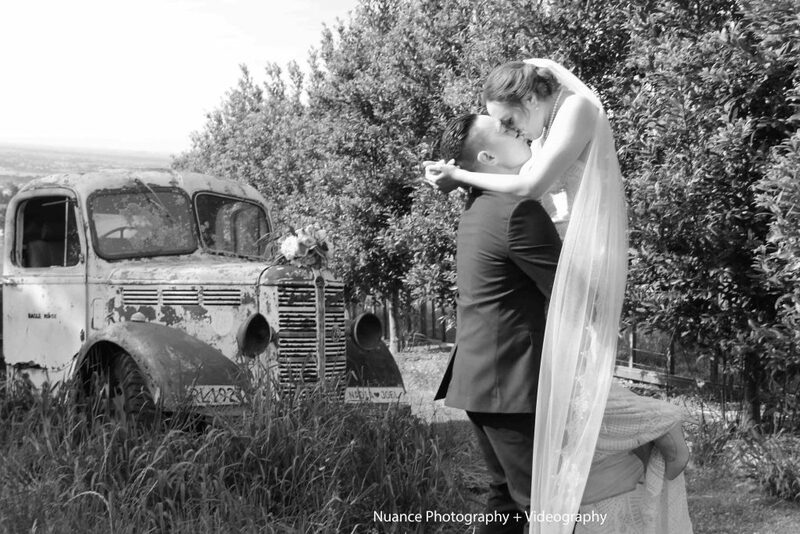 Nuance Photography and Videography in New Zealand. Tauranga videographer New Zealand specialising in wedding videography across the Bay of Plenty. Creative and competitive photo and video wedding packages. Wedding videographer in New Zealand. Coromandel wedding on the beach. Native bush, surf beach and marina images with video. Lovely little sneak peek from Romola and Rory’s wedding in Hamilton at Rosenvale. The rain stopped and we had loads of laughs. Hamilton wedding videographer, Nuance Photography and Videography present a small feature film. Lovely little highlights short film for the amazing couple who married at Lonely Bay, Coromandel, New Zealand. A very cute little eloping wedding. It was a pleasure being apart of your day. Cute little wedding highlights short film for the amazing Kylie and Matt who married at Lonely Bay on the Coromandel in New Zealand. Eloping weddings – New Zealand wedding planning and elopements. A very awesome day in Queenstown for another helicopter wedding in New Zealand. Photo, drone and video by Nuance Photography and Videography. Highlights wedding video at Vilagrad winery in Hamilton New Zealand. Wedding in the vines New Zealand. Cute little Tauranga highlights wedding video at Eagle Ridge Estate with drone on a gorgeous summers day.